You are here \ South Africa Weddings \ Tie The Knot \ Wedding Tips & Advice \ Are Diamonds A Waste Of Money? According to Ira Weissman, founder of a website on the truth about diamonds, these precious stones are a waste of your money. He calls them ‘the greatest scam in history’ and proposes that the pressure to buy them is merely social; that when you stop and think about it for a moment, you might take a reality check. He not only makes this rather audacious comment, but he follows it up with a number of reasons to back the claim. Ira sites De Beers as the big player in the PR job that turned diamonds into ‘down-on-bended knee’ tradition. Weissman says diamonds are not a girl’s best friend at all. Rather we have been conned into believing that they’re a necessity. Despite being sold the line that diamonds will grow in value, that they’re an investment, Weissman says they’re simply a retail product like any other out there. Try selling your diamond ring a day after you’ve bought it, he says, and you’ll be lucky to get half of what you paid for it. Spending a month or two’s salary on a stone is a waste of money. Rather save it. 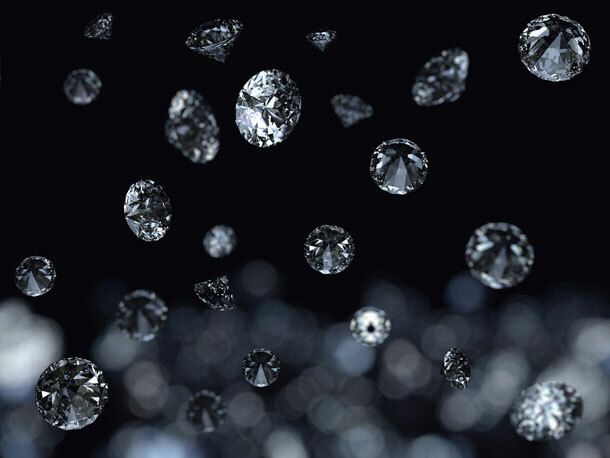 Ira Weissman has been in the diamond business for over 10 years, travelled all over the world buying and selling the stones, and runs a diamond education site to help those considering buying the stones. He obviously has grounds for his statements. But do we agree with him?